HEAVY ITEM; NO CASH & CARRY. WE WOULD DELIVER & PICK UP USING OUR TRUCK. Wave Water Slide may be used wet or dry. The big thrill comes when you quickly reach the bottom and there is a curve before your lane ends. 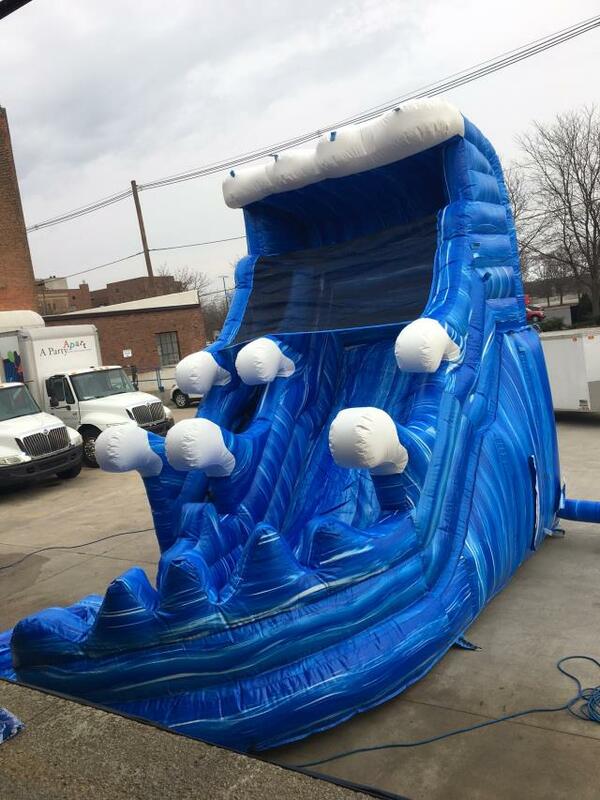 * Please call us for any questions on our wave water slide rentals in Ft. Wayne IN, Warsaw, Syracuse, Auburn, South Bend, Indianapolis IN.